UPDATED: It was a big day for long-term expatriates in Norway and Norwegians who’ve moved abroad. 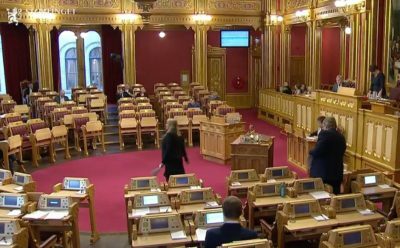 After years of debate, a majority in Parliament finally approved dual citizenship in Norway on Thursday for all those who have strong ties to both their homeland and their country of residence. “I think this is a day of great joy,” said Ove Trellevik, a member of Parliament for the Conservative Party that backed dual citizenship along with every other party in Parliament except the Labour Party and the Center Party. The Liberal Party was also celebrating the dual citizenship victory, with cake decorated with images of a Norwegian passport. Some Liberal Party members claimed the approval wouldn’t have come if the Liberals hadn’t joined the government in January. Both the Conservatives and the Progress Party, however, had already signaled their support in 2017 and earlier. It will allow immigrants in Norway to keep the citizenship of their birth while also acquiring Norwegian citizenship and finally being able, for example, to vote in national elections. It will also allow Norwegians who have moved abroad and become citizens of their resident country to retain, or re-acquire, their Norwegian passports. They had to give up their Norwegian citizenship if they became citizens of, for example, the US or Australia, just like Americans and Australians would have had to surrender their passports in order to acquire a Norwegian one. Many have refused to do so, living in Norway on the grounds of permanent residence permission and having to renew residence within the EU’s Schengen area every two years. Norway has been been one of the few countries in the world, and the only Nordic country, to have banned dual citizenship until now. While even the anti-immigration Progress Party was won over by those advocating dual citizenship (if only to be able to revoke Norwegian citizenship for those committing crimes and enable deportation to their country of birth) both the Labour and Center parties still objected. The farmer-friendly Center Party, known for its protectionist policies, argued that it was a question of loyalty: “If Norway is in conflict with another country, will a person with citizenship in both countries think only of Norway’s interests when they vote?” queried Center Party leader Trygve Slagsvold Vedum in a recent commentary in newspaper Dagbladet. Both the Center and Labour parties also argued that dual citizenship will weaken efforts to prevent forced marriages and some immigrants’ practice of sending their children out of the country to discipline them. 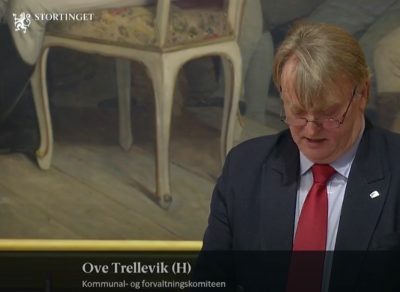 Trellevik counters both arguments, claiming that it can be easier to follow up such cases when the children are also Norwegian citizens, while he also thinks dual citizenship can dampen conflicts rather than heighten them. It will take awhile before the new law takes effect, however. NTB noted that Norway first must revoke the Council of Europe’s convention from May 6, 1963 that states how Norwegian citizens must give up their citizenship if they accept a new one. Then it will take at least one year from the Council of Europe’s receipt of the revocation notice until the law is valid. The Education Ministry is responsible for the process, expected to be completed sometime in 2020 and hopefully well in advance of the next national election in 2021.